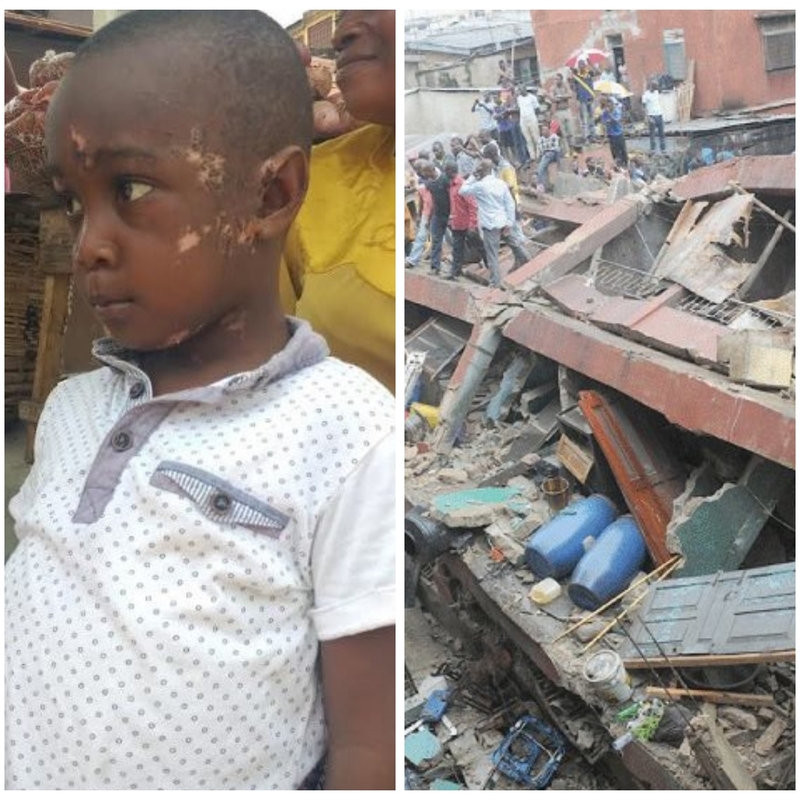 Three-year-old, Kabiru Sasore, who survived the recent building collapse at Ita Faji on Lagos Island, has said he is afraid to return to school. Kabiru who was rushed to the hospital after the incident, was discharged last week Thursday after he was certified healthy enough to return home. His mother is said to be in a private hospital at the moment where she is being treated for shock. Narrating his ordeal, Kabiru who still appears shocked over the incident, told The Nation that he was eating in his class when he suddenly heard a loud sound, thinking it was a bomb. He said he is afraid to go to school again because he does not want to experience a similar incident again. His Aunty, Balikis Muhammed, who is currently nursing him, said he was discharged from the Lagos State University Teaching Hospital (LASUTH ) on Thursday, adding that he is still on medication and has an appointment in the hospital next Thursday. Another survival, Farouk Abimbola, Seven years old, in Primary 3, said he was in his class when the incident happened.